Receive Free Training as a Production Assistant with CiTR’s New Podcast Series: Consider the Alternative! Are you a fan of serialized podcasts, or podcasts with serialized episodes like S-Town, The Daily, This American Life, Caliphate or Radiolab? 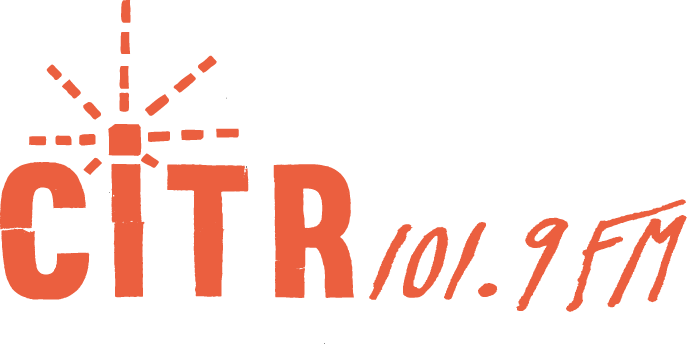 Over the next seven months CiTR will be training and supporting the creation of 12 episodes of a new immersive podcast series, Consider the Alternative. Using place-based sound recordings and character portraits, Consider the Alternative will explore local stories through a creative lens! Production Assistants will have access to free podcast production training including how to: structure narrative stories with sound, conduct interviews, use field recorders and script write. In pairs of two, P.A.s will produce two serialized episodes of Consider the Alternative with the support and oversight of CiTR’s Podcast Coordinator and Production Coordinator. Episodes will centre around various Vancouver and Lower Mainland stories (ie. arts & culture, politics, science, etc) and their relationship with one of three tenants of our local democracy: activism, journalism or government. These episodes may draw from content created by the station’s Spoken Word Collectives. Support CiTR/Discorder’s Podcast Coordinator and Production Coordinator in producing and developing the station’s podcast series. Work with another Production Assistants to produce two episodes of our “CiTR Flagship” podcast. Assist with development and production of our “CiTR Flagship” podcast series. This includes conducting research, leading interviews, making freedom of information requests, writing scripts, and editing audio. Follow an established production schedule. Attend bi-weekly podcast planning meetings with the Podcast Coordinator to give project updates and receive feedback. Experience and/or interest in audio editing and sound production for radio and podcasts. An interest in local current affairs (i.e., arts & culture, politics, science, etc.). 7 month term; starting at time of recruitment. Estimated time commitment: 2-4 hours per week. Must adhere to CiTR/Discorder volunteer policies. Will report to CiTR/Discorder‘s Podcast Coordinator, Production Coordinator, and Volunteer Manager. Please apply to spokenword@citr.ca, with the following document by October 19th at 5pm. 1. A statement of interest. This is a half page statement that explains the skills and strengths you would bring to this project and your reasons for wanting to produce a podcast with CiTR.